Lightly sand existing finish and any rough areas or imperfections. Use tack cloth to remove dust. 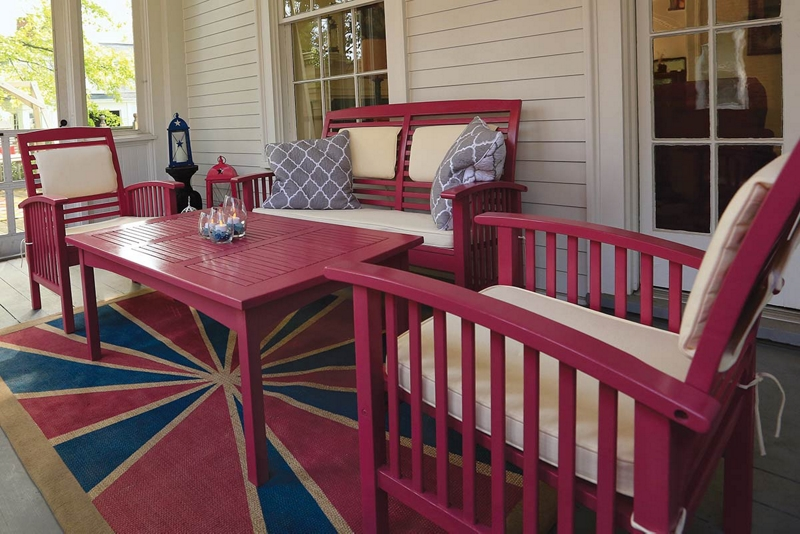 Applying in a well-ventilated area, paint the underside of the table with Krylon® ColorMaster™ Paint + Primer - Gloss Raspberry by holding the can 6-8 inches from the surface and using a sweeping side-to-side motion with slight overlap. Let dry and turn table right side up to paint the top. Repeat steps 4 and 5. When painting chairs, begin by inverting them and painting the bottom first. Hold the can of Krylon® ColorMaster™ Paint + Primer - Gloss Raspberry 6-8 inches from the surface and paint using a sweeping side-to-side motion with slight overlap. Repeat step 5.